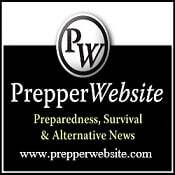 One of the key parts of survival is always being prepared and one of the key parts of preparedness is being prepared to abandon your home and “bug out” if the situation warrants it. Granted, you’re usually better off staying home and sheltering in place for most disasters. However, there are exceptions. The people of Southeast Houston, West Florida and Puerto Rico were all put in the place of needing to bug out during the recent spate of hurricanes. One of the problems that rescuers in Houston encountered, when they were trying to collect people from their homes, is that many of those people were waiting with suitcases packed; that is, mountains of suitcases. But due to space limitations in their boats, they could only take one bag per person, preferably a backpack. In many cases, the rescuers had to explain that to the people, and then go rescue others, coming back for the people after they repacked. The reason this problem occurred, was that people were unprepared. Rather than having a bug out bag packed and ready to go, they were grabbing things at the last minute, as they thought of them. This usually meant grabbing too much and grabbing the wrong things. A proper bug out bag is going to be built based on what you need to survive, if you are forced to abandon your home. You can’t take everything, so you have to prioritize on the things you are most likely to need. But before you can even do that, you need to know where you are going to go; you have to have a plan. Otherwise, you’re going to end up with the wrong stuff. There are many different ways of bugging out, with the major differences being where you are going to go when you leave your home, and how you are going to get there. Both affect what you can bring and what you need to bring. You also need to consider the possibility of having to abandon your vehicle, which means that you could end up camping out, as you try to walk to your ultimate destination. Tarp, something big enough to make a tent out of, say 8’ x 12’. Heavy-duty space blanket (not the cheap ones) to reflect heat back to you. 3 Normal space blankets (the cheap ones). Emergency sleeping bag (made of the same material as the space blanket). Small roll of duct tape (or wrap 20’ of duct tape around something else). At least one change of warm clothes, plus a hat and gloves. Primary fire starter – the best is a windproof butane lighter. Secondary fire starter – either stormproof matches or a BlastMatch (the Blastmatch is much easier to use and more effective than a Ferro Rod). Emergency tinder, such as WetFire cubes or cotton balls soaked in petroleum jelly. Two liters of water in aluminum water bottles (aluminum bottles can be put in the fire to purify more water, plastic ones can’t). Straw-type water filter, such as the Lifestraw (for drinking directly from a water source). Bag type water filter (for refilling your water bottles). Most people say that you should carry enough food for three days, I prefer for five, assuming you have enough room in your pack for it. You could buy MREs or make your own, but I find it more efficient to just carry the ingredients and use them as needed. Beef jerky (for making soup), chicken jerky and turkey jerky as well. Spam and tuna in soft pouches. Dried vegetables (also for soups). High energy food bars (your last-ditch emergency food stock). At least one lightweight camping saucepan (wire handle). Non-breakable plastic bowl and cup (dollar store special). How many tools you carry will depend a lot on your wilderness survival skills and your bug out plan. If your plan is to head for a hotel room in a nearby town, you might not need as much in this category. But if there is any chance that you will be camping out for more than a night or two, you want to be well prepared. Honing stone for the knife (you need to keep it sharp). Camp hatchet, with hammer back (many people like tomahawks, but they don’t give you a hammer). Folding pruning saw (much more effective than a wire saw and won’t break as easily). Flashlight (make sure you have extra batteries). Headlamp (once again, extra batteries). Toilet paper (you don’t want to forget this one). Personal hygiene kit – with toothbrush and paste, soap, shampoo, deodorant, etc. Spare pair of prescription glasses (if you wear glasses). A couple of weeks of your prescription medicines (assuming you take meds). First-aid kit – assume fairly major injuries and be prepared for them, not just skinned knees and knuckles. I use a gunshot as a basis for thinking about how to set up a first-aid kit. Hand-crank AM/FM radio (to get the news). Solar battery charger – to charge your phone, make sure you have the right cables. Disposable cell phone with cards for time. Maps (both topographical and road) for the area you live in and the area you are going to. Thumb drive with your important documents – birth certificates, marriage license, titles for home and cars, medical records, school records, college transcripts, awards and degrees, resume. This one depends a lot on the type of bug out you are doing and where you are going. If you are bugging out to escape a natural disaster, you might not want to carry a long gun. But if you are bugging out to escape, after a major event that causes a breakdown of society, that long gun will be essential. Long gun, either AR-15 or shotgun. Spare ammo for both (in the bag). Bow and arrows – for hunting (in the case of a more permanent bug out; bows are silent). These items aren’t absolutely necessary, depending on where you live and what your bug out plan is. However, I have them all in my bug out bag. Then again, I expect to have a long walk to my survival retreat. Emergency 2-man tent (made from the same material as the space blankets) or a backpacking tent. WAPI – (water pasteurization indicator) – for use in heat purifying water. Clear plastic sheeting – for making a solar still. Flexible plastic tubing – for the solar still as well. Wire for making snares (I find guitar strings work extremely well for this). Camp stove (I prefer the kind that will burn sticks, rather than one which requires propane or other liquid fuel). Esbit stove and fuel (for use when no wood is available). Multi-tool (not an absolute requirement, but useful nevertheless). Pry bar – especially if you’re going to be in urban areas with a need to scavenge. Machete with saw cut back edge – if you have this, you probably don’t need the hatchet.